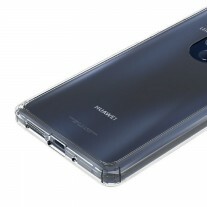 The “will they, won’t they” saga regarding the Huawei Mate 20 and Mate 20 Pro’s 3.5mm headphone jacks will not be officially resolved until October 16. 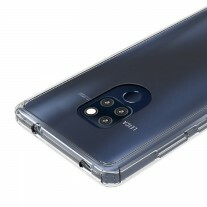 Still, the rumor mill seems to have settled on an answer, and it’s that things remain the same – the base Mate will have a headphone jack, the Mate Pro will not (just like the Mate 10 duo last year). You can see this in these leaked renders of a Mate 10. The round hole on the left (second image) is pretty clearly for the jack. 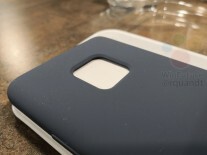 The hole on the right could be for an IR blaster, while the holes on the bottom side are loudspeaker, USB-C and mouthpiece, respectively. 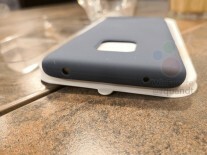 The old school fingerprint reader is just below the triple camera. 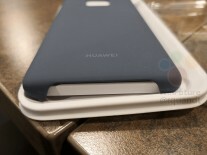 Meanwhile, @rquandt has gotten his hands on a Huawei Mate 20 Pro case and confirms that there’s no headphone jack on top, just the IR blaster and a mic. 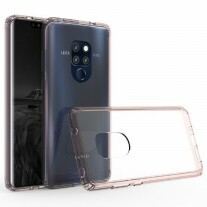 Other rumored specs for the Mate 20 (non-Pro) include a Kirin 980 chipset, 6.53” LCD screen (1,080 x 2,244px) and a 4,000mAh battery. The Pro model will have a higher-res screen (1,440 x 3,120px), a curved OLED at that, and an in-display fingerprint reader. We’ve detailed the RAM and storage capacities before too.